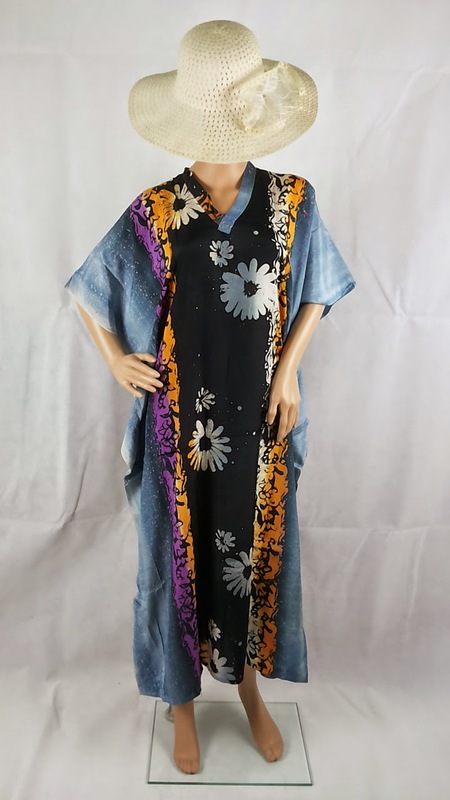 Gold line batik kaftan - blue grey with daisies. Fuji / Viscose Rayon Material. Malaysian batik. I love this.